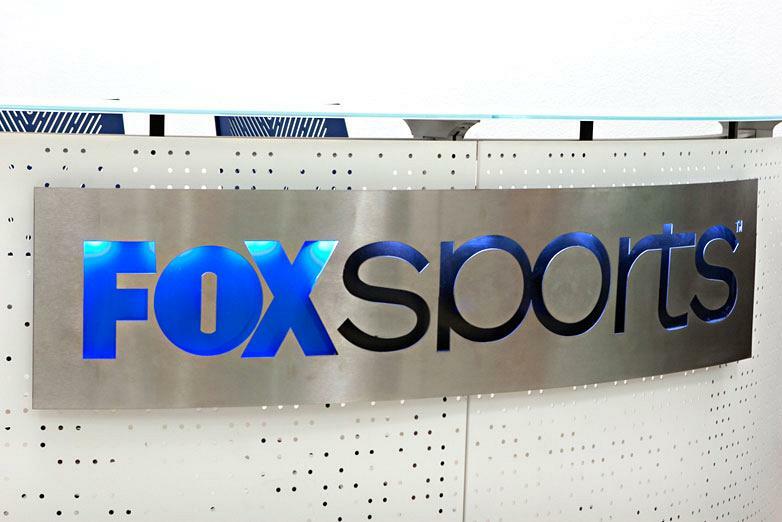 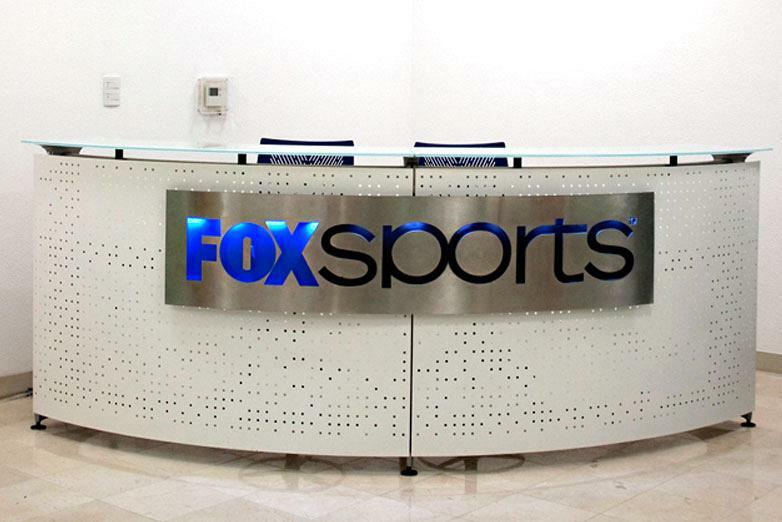 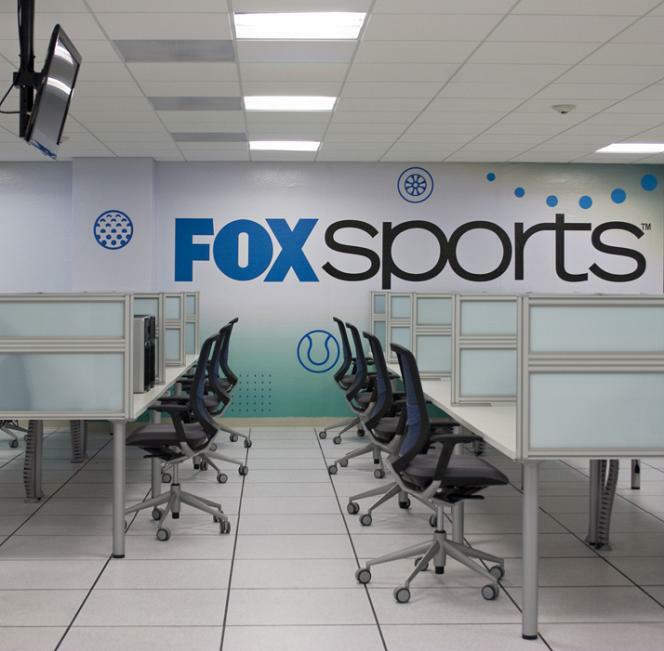 Fox Sports, pay per view television sports channel which is the leader in audience and distribution in Latin America, has opened its new studios in the South of Mexico. 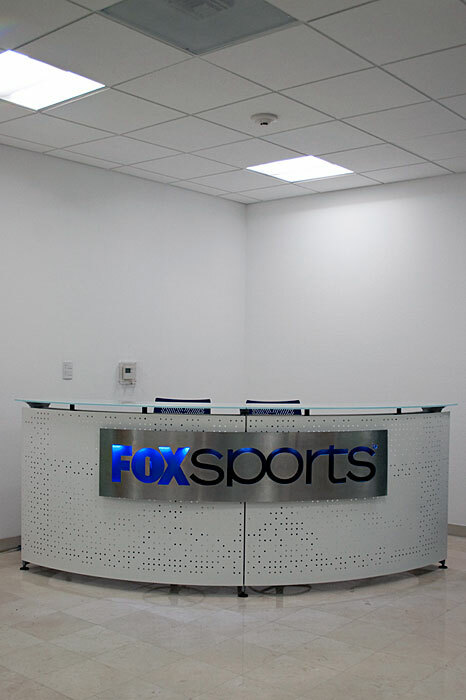 It is considered as the best equipped in Latin America, the new studios are the first in the region to have the best and latest technology advances and are the only ones since the conception which have been completely designed to operate in High definition (HD) in a tapeless environment. 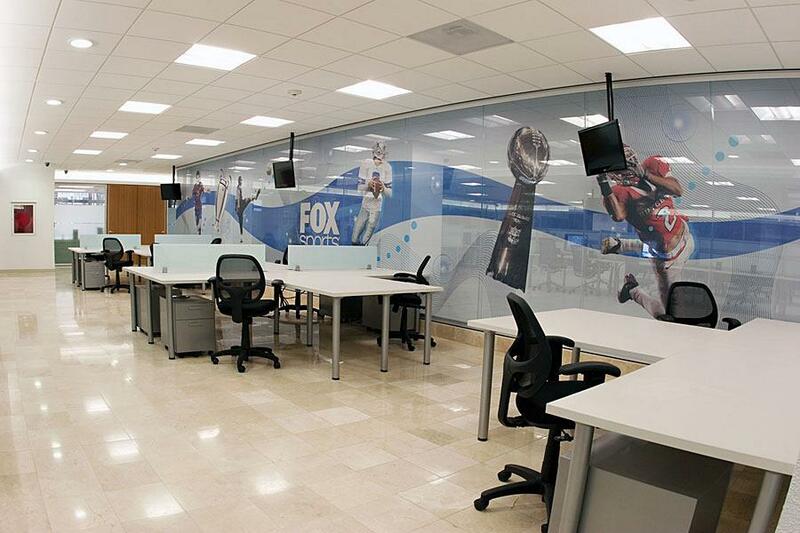 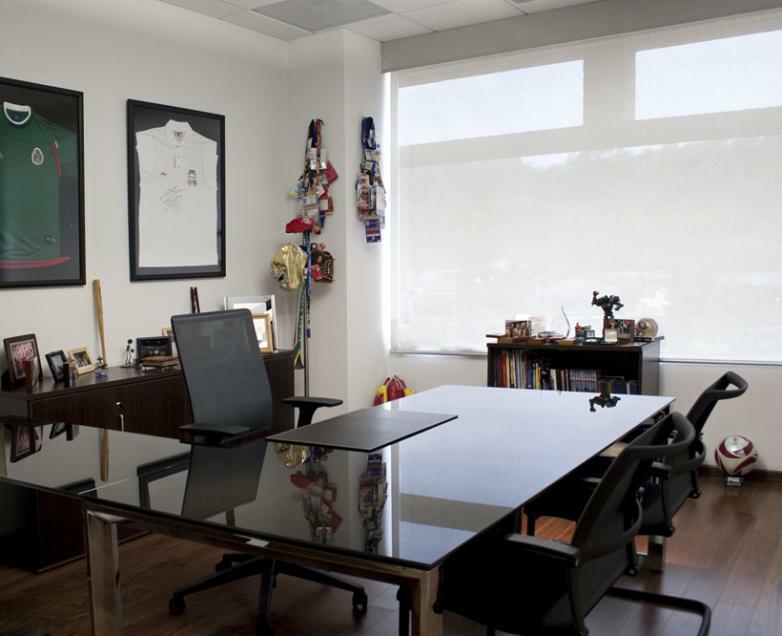 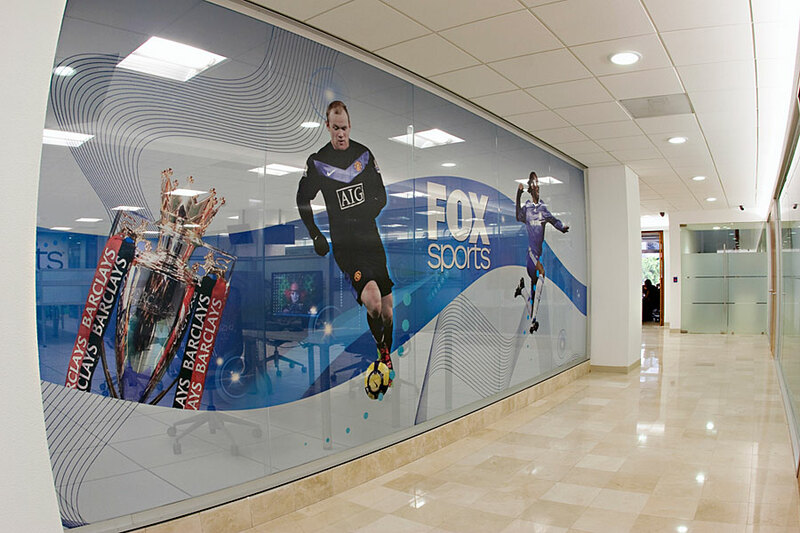 The new headquarters of Fox Sports has several areas for editing, graphics, writing, ENG and multi-media equipment have been furnished with Actiu's products. 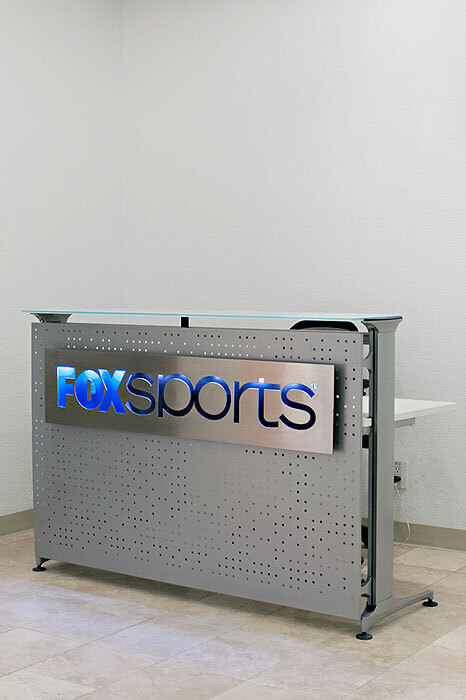 The Dynamic customer service counter welcomes workers and visitors on arrival. 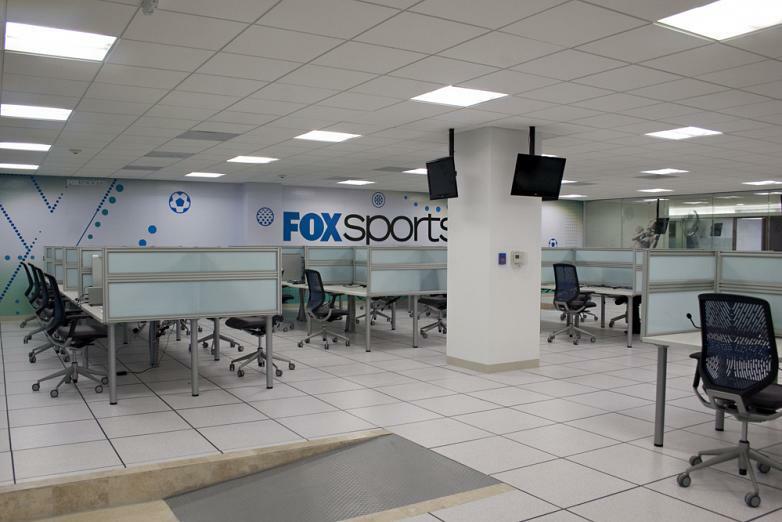 The Informa customer service counters are in charge of presiding over the entrance of different areas and departments of each television channel. 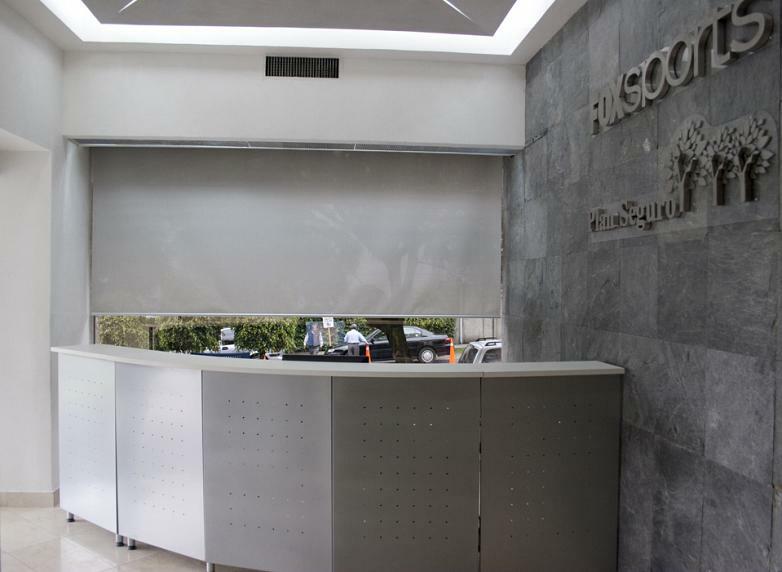 Informa aims to facilitate and enhance communication in all customer service areas, offering ergonomic modulations, easily transformed and customized according to the space. The programming of Fox Sports is produced and broadcast in full HD technology; giving more than 26 million homes in Latin America the clearest and spectacular signal in International sports television. In the writing area a composition has been carried out using the program Cool C300; desks without structure, with legs anchored directly to the table top, which allows great flexibility for restructuring and growth according to needs. 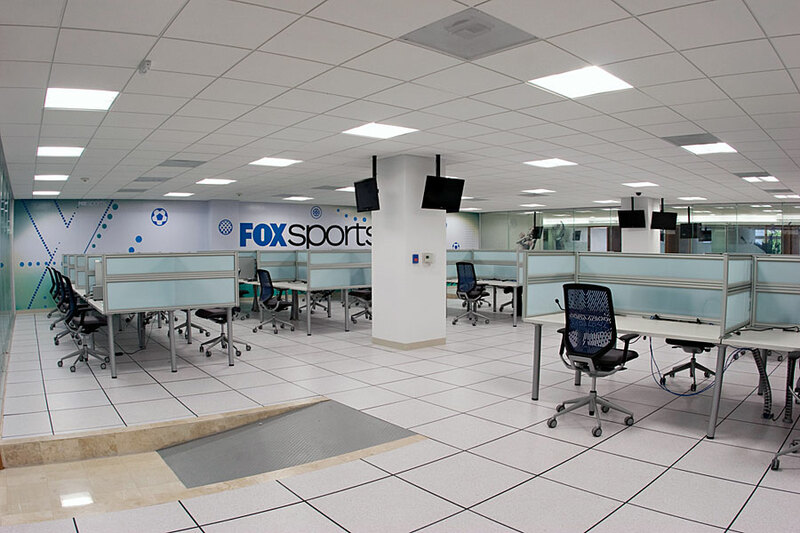 For editing, graphics, writing, ENG and multi-media areas require something more independent and private between workstations to avoid interference between assemblies and screenings. For this we have combined the desks from the Cool C300 program with Split table top dividers with a double translucent panel. Thus independent positions have been created, but that can share the same room. 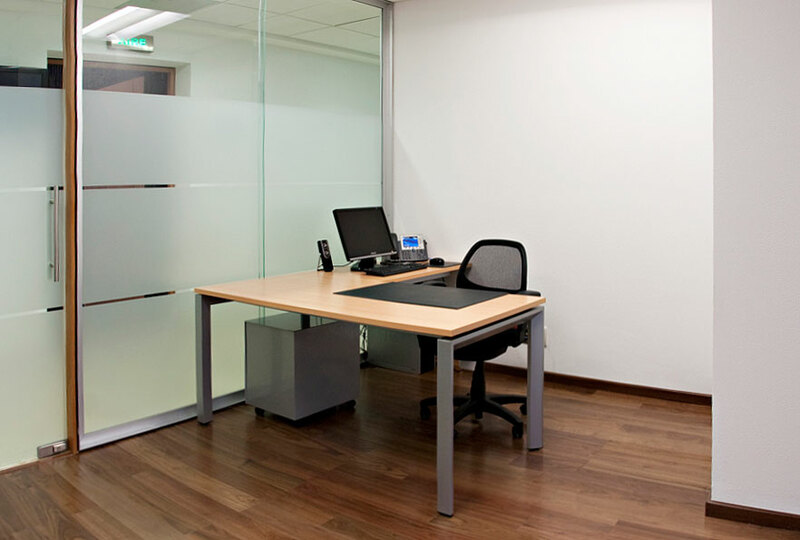 The TNK ergonomic chair with its original back completes each work place. 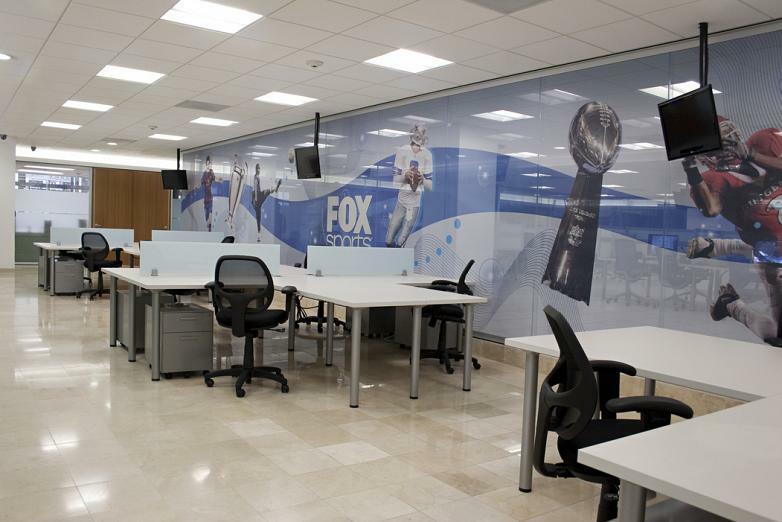 The corporative colours (blue, white and black) are present in both the vinyl on the walls as well as the furniture. For middle management offices the elegant desks Vital Plus ST/60 have been used with a structure made from aluminized feet. 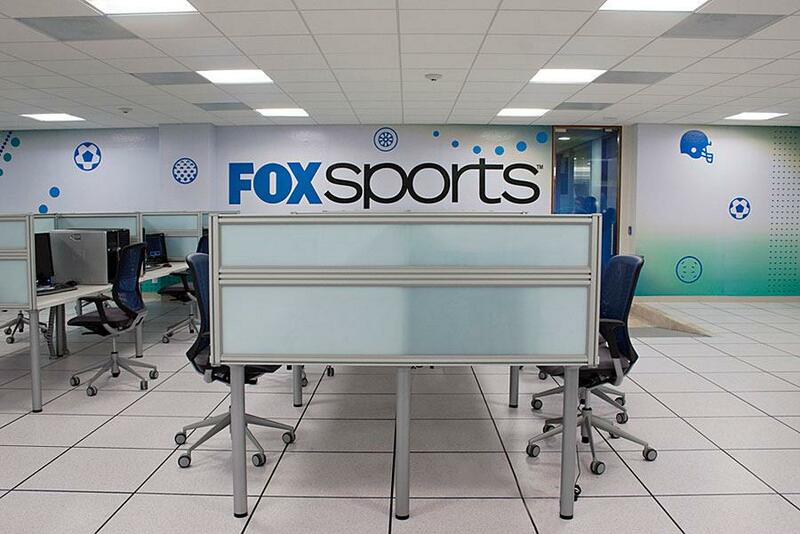 A composition in the shape of an L has been carried out, with auxiliary wings to improve the available operative surface. 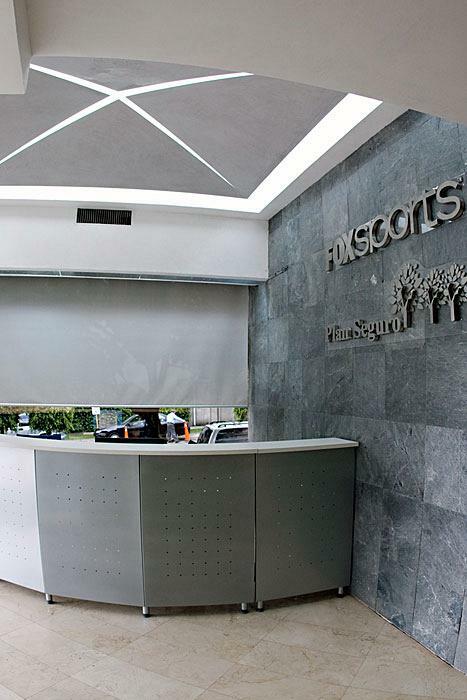 The managerial positions wanted to offer a modern and elegant image for which the Vital Plus ST/60 desk was chosen in the version of a closed chrome structure and work surface in black security glass.